Meet The Aristocrat Restaurant, Manila. 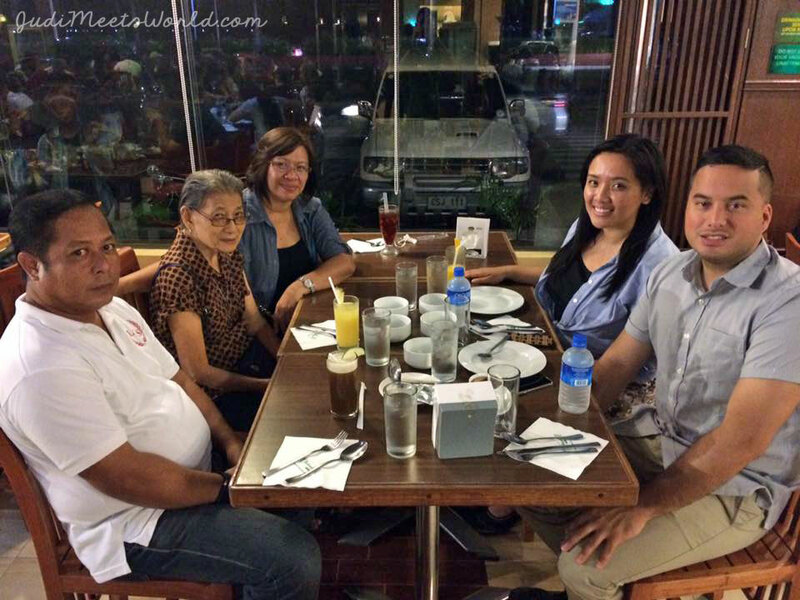 Whenever I have come back home to Manila, for as long as I can remember, we always visit Aristocrat Restaurant. When we do visit, it is usually with my Auntie Floring. This time around, I made sure to take note if this was a local spot or a “balikbayan” restaurant. ** Balikbayan literally translates to “returns to the country,” referring to those such as myself who are originally from the Philippines but now live elsewhere. We had a table for five, and despite how busy and full it was, it only took about 10 minutes to get our table ready. Looking around, it was definitely a spot for both locals, but definitely balikbayans to bring their families to. The menu can be found online on their official website. This restaurant has a range of Filipino dishes from breakfast options all the way to dinner. Most servings are individual, but there are also some that are shared family style. Their bestsellers are the barbecue (chicken or pork) with Java Rice. This comes with a packet of sauce to mix into the rice or on the barbecue. Auntie Floring had her favourite order of Sweet & Sour Lapu Lapu fish (also called Groper/Grouper fish internationally). We shared a bowl of sinigang and a plate of noodles as well – I believe we got the Pancit Canton. For drinks we went with classics: sago at gulaman and mango shakes. I personally enjoyed the food here. This restaurant does cater to both local appetites and does have classic options that are more well known for foreigners. Foreigners may have to ask specifically for the English names of certain items (e.g. : eggrolls instead of lumpiang Shianghai). 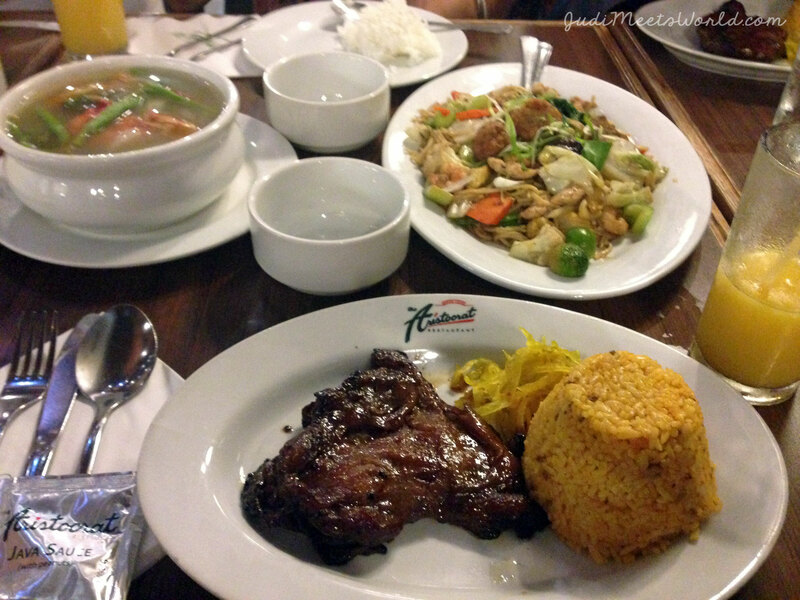 Aristocrat is a safe bet for those who have just arrived to Manila or aren’t familiar with Filipino cuisine. You can try something new, but still have classic options as well. Meet Luneta Park & Intramuros.